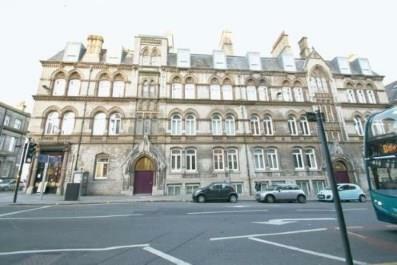 Entwistle Green are delighted to offer this well presented two DOUBLE bedroom apartment situated on the first floor in the Westminster Chambers development. This property would make a ideal first time buy or an investment. Being centrally located this property is within walking distance to a vast array of shops, bars and restaurants with Liverpool One shopping development close by also. The accommodation briefly comprises of entrance hall, stairs leading to apartment, hallway, spacious lounge with balcony to the front elevation, two double bedrooms and family bathroom. This property is available with no onward chain and would highly recommend viewing to appreciate what is on offer. Entrance hall with stairs leading to apartment, fitted carpet and spotlights. UPVC double glazed door to the front elevation opening onto a balcony. Secondary glazed wood window also to the front elevation. Storage heater, laminate flooring and ceiling light. Wood window to the rear elevation. Wall and base units, stainless steel sink, integrated electric oven and hob, integrated fridge/freezer. Laminate flooring, tiled splashbacks, spotlights and ceiling light. Secondary glazed wood window to the front elevation. Storage heater, fitted carpet and ceiling light. Wood window to the rear. Storage heater, fitted carpet and ceiling light. Three piece suite comprising low level WC, panelled bath, shower over bath, wall-mounted sink. Heated towel rail, vinyl flooring, tiled splashbacks and spotlights.